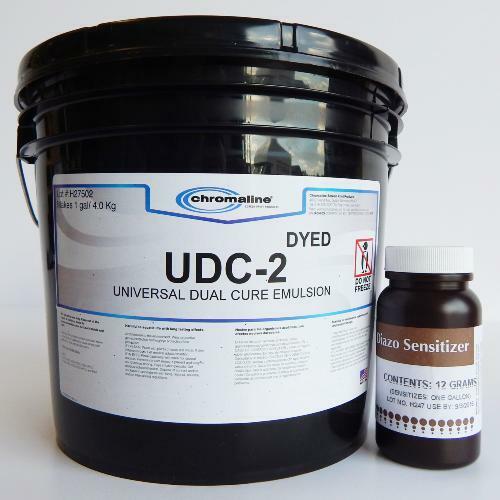 Chromaline UDC2 Dual Cure emulsion provides the perfect combination of price and performance. With superior exposure speed and latitude, UDC-2 is ideal for printers in every part of the screen print industry. Pyramid Screen Products endorse best industry practice that operators should wear appropriate personal protective equipment (PPE) when handling and working with all chemical products, even those classified as 'non-hazardous'. PPE for Chromaline Products includes gloves and safety glasses/goggles.